In this study of the English language as it is spelled in America, D. W. Cummings demonstrates that behind the apparent disorder of spelling in American English lies a self-regulating and self-reorganizing system that is responsive to four kinds of imperative: phonetic, semantic, etymological, and systemic. Cummings offers a systematic theory of orthography and applies this theory to the American English vocabulary with numerous examples. Cummings also describes the explication of written words into their elements, particles, and processes, and he sets out the tactical and procedural rules that control the distribution and sequencing of vowels and consonants. 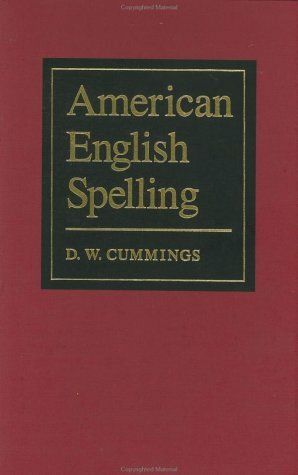 In the largest section of the book, he provides an exhaustive description of the major and minor correspondences between the sounds of American English words and their spellings. An essential reference work, American English Spelling moves beyond questions of how words are spelled to an understanding of why they are spelled as they are.